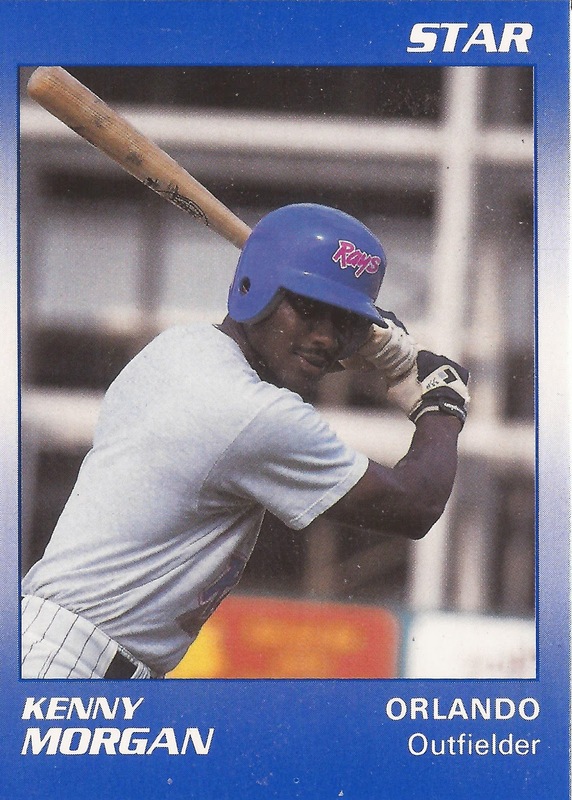 The Orlando Twins won the Southern League's first half title in 1990 and Kenny Morgan was one of the reasons why, according to The Orlando Sentinel. Morgan hit nine home runs for the O-Twins and had 45 RBIs. "We got some power from Kenny when we needed it most," O-Twins manager Ron Gardenhire told The Sentinel. "He's had some real pop in his bat." Morgan went on to hit a total of 13 home runs for AA Orlando that year, his second-half slowing from his first. His second half would be an indicator of things to come for Morgan. It was Morgan's fifth season in minor league ball, he would only get one more, including a short stint at AAA and his career would be done. Morgan began his career with the Twins in 1986, taken in the 17th round out of UNC-Charlotte. Sent first to single-A Kenosha, Morgan hit just .214 and three home runs in 61 games. Spending the next two seasons at single-A Visalia, hitting .235 in 1987 and improving that to .283 in 1988 and earning a promotion to Orlando for 1989. Morgan's average came back down at Orlando, to .248, but he hit 10 home runs. One of those home runs came to help clinch the first half for the O-Twins that year, their first of consecutive first-half titles. Down 3-1, Morgan hit a grand slam June 12, according to The Sentinel. In August, Morgan came off a lifeless road trip at the plate with two hits and three RBIs in a 5-4 win. "I tried to make contact and keep it in play, which is something I haven't been doing for almost three weeks," Morgan told The Sentinel. "I hope now I'm starting to see the ball well and only swing at strikes." For 1990, Morgan returned to Orlando. His two-run double July 14 proved the difference in a 7-5 win. Two weeks later, Morgan drove in four runs in an 11-2 win. Three of those came on a three-run home run., according to The Sentinel. Then, he had a bases-loaded triple Aug. 31 as part of a 15-0 win. But Morgan's efforts weren't enough to salvage his stats. He finished the year with a .247 average. Morgan made it to AAA in 1991, but only for 13 games and 29 plate appearances. He hit just .148. He played 58 other games back at Orlando, hitting just .239 and Morgan's playing career was done.